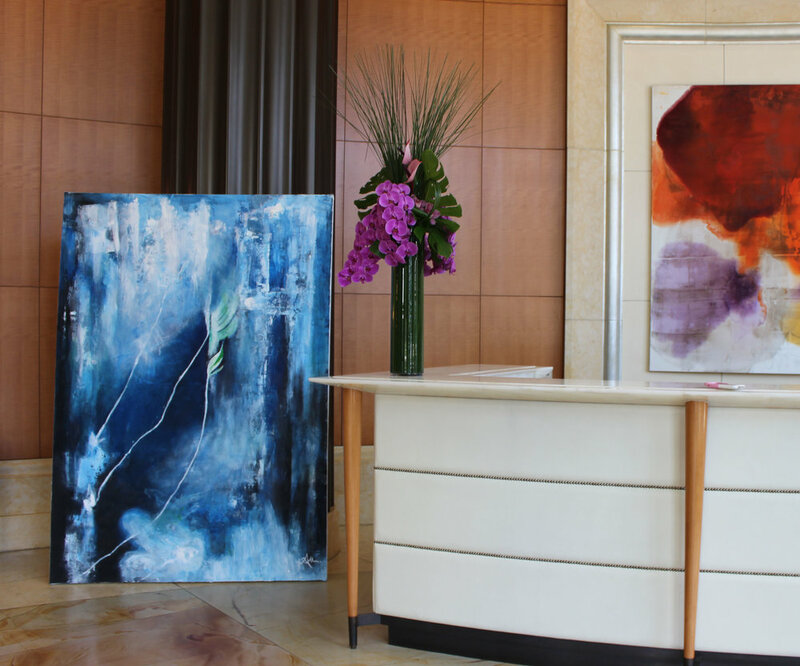 Thai-born and Los Angeles native artist Ann McFerran approaches her work with a belief in the emotive power of color, various methods of mark making, and thickly applied layers of paint. Her work is characterized by gestural boldness, and chromatic richness that exude vital qualities of energy and dynamism derived from her internal state or surroundings. The subjects of her paintings fluctuate from subtle references of figuration and/or narrative—to eschewing them altogether. She works in a range of painting materials, including oil, acrylic, spray paint, ink, molding paste and found items that are collaged onto canvas. Despite her large range, consistent throughout her work is the calculated balancing of composition, color, and mark making—a sense of control within a fabricated chaos. She likes to explore and combine dichotomous themes of consciousness vs unconsciousness, happiness vs sadness, science vs fiction, chaos vs control because of the belief that one reveals or enhances the transparency of the other.